Auntie Shoe Spouts Off - Designer of stuff. Blogger. Politically blue. Shoes pink. Auntie Shoe created these designs of national flags and group flags. They make great gifts for international holidays, birthdays, celebrations and, of course, Christmas. There are a variety of world flags from which to choose. Each one shows a particular flag. Underneath the flag is the name of the country or group. The name shows in the colors of the flag itself. What ever possessed Auntie Shoe to create such designs and place them in such a collection? Well, not a lot to say on that note. Other than other cultures and ways of life have always interested your virtual Auntie. In college, she majored in political science, took a lot of history, and enjoyed any class that taught her about how other people live. It served her well in understanding people. About twenty years ago, Auntie Shoe began a hobby. Obtaining a graphics program called Paint Shop Pro, she began to dabble in creating. It was fun and very enjoyable. She opened a free graphics website, using free web space available in great quantity at the time. Soon, however, Auntie’s work was so popular that visits to her site exceeded the bandwidth allowed for free space. Now she had to make a decision. Close it or pay for it. After all the work she’d put in, and the number of people who emailed to say how much they depended on it for their own work, Auntie was hesitant to close it. But paying for it would not be cheap. She bought a domain, ameriyank.com. And some web space and continued as usual. But, in the meantime, she had also found a new business called CafePress. For no money out-of-pocket, Auntie could sell original design on t-shirts, mugs and other things. “Hmmmmmm”, thought Auntie, “Maybe I can earn enough to pay for this web space.” So, she started drawing flags in her graphics program. It kind of took off. And, happily, she was able to pay for her web space. But a series of unfortunate events left Auntie unable to continue in her real estate career. The first was that she was, simply put, not happy in the business. But more importantly, bone spurs, carpal tunnel and a bunch of other ailments, from a variety of causes made it impossible for her to continue in that career. Luckily, Auntie had found some success in the print-on-demand (POD) world. Limited as it was, it could grow in a way that would allow her to support herself, over time. And, well, it beat doing nothing and sittin’ on her disabled keister watching daytime TV. So, Auntie Shoe worked a lot more with the world flags, creating several different designs. Some were just the flags themselves, others were, like the examples above, flags with the name of the country below it. Then came the heart shaped flags. Just all kinds of world flags were at Auntie Shoe’s disposal for creating interesting ways for people to share their travels, heritages, ethnicities and favorite cultures. Soon, other POD sites opened like Zazzle and Spreadshirt and INKtastic. And, Auntie opened shops there as well. Now your virtual Auntie has shops all over the place, with designs of all kinds, using world flags as part of the motif. Recently, Auntie started drawing penguins, angels and roses inspired by flags. All are original ideas that come from her imagination. Creating the designs and adding them to various shops is quite time consuming, but fun. Using social media to promote items is tedious work. But for the most part, as a graphics designer online using POD, you spend about 90% of your time promoting yourself via blogs, Twitter Facebook, and the like. Auntie likes Pinterest the best because it lets you create boards of interest. She does not have to create tons of accounts with a different country in each one, she just creates a board with the country and all goes well. Her followers can follow one country or all, as they see fit. That way she does not bore them to death with countries they are not interested in. 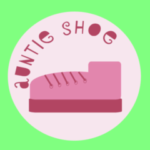 You can visit Auntie Shoe on Pinterest at www.pinterest.com/auntieshoe/. Choose your boards and join the fun! But, mostly, Auntie just likes to create the flags in her computer program and see how interesting and inspiring she can be. It is fun to see how the design turns out after Auntie has worked for hours to make it just right, and with variations to be sure it will look nice on the most amount of colors on T-shirts and other items. While creating a flag design with the name of the country in a solid color works well for many, what Auntie especially enjoys doing is taking the extra step to make the name of the country or group match, as much as possible, the flag in question. It can take several hours, or days, in rare cases, to make it just right, but it is worth it to create something extra-special. Auntie Shoe loves knowing she helps provide just the right gift for that special friend, husband, wife, friend or family member. Her work continues to be challenging and rewarding in its nature. The work of the particular collection for this post is some of her best ideas. The designs are meant to help you promote your favorite culture, whether it is your own or just one that inspires you. Wear a shirt from Sweden, Denmark, Greece, or the United Kingdom. So, if you enjoy different cultures, as Auntie Shoe does, you might find her work inspiring. If not, you probably will not care to participate further. But your Auntie loves nearly everybody. What more could you ask for? Yeah, I know, a million dollars and some real cash! Anyway, here is hoping you enjoy the collection and its aftermath. Auntie Shoe created a bunch of angels all dressed in the flags of various countries of the world. This allows you to choose the ones that best fit your family. Some items make lovely gifts, or will decorate your present in a special way. they say that each blog post should be 1000 words. I am too tired for that right now, gonna call it day and go with this. This is a test to see if Auntie Shoe can use some particular code correctly. So far, looking good for Auntie. 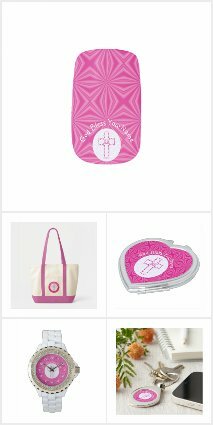 For the test, Auntie Shoe chose to use code found on Zazzle for those who have shops there. Auntie Shoe only has about a gazillion shops. The newest one with any large amount of designs is Shamrock Flags found at www.zazzle.com/ShamrockFlags. It is pretty much what you would expect, shamrocks with flags in each leaf. Makes it easy for Irish Americans, who have more heritages than just Irish and American, to celebrate themselves. All the designs in this series feature the flag of Ireland in the top leaf and the USA flag on the left leaf. The right leaf changes, depending on the country used. In our test case here, it is the German flag that fills the leaf on the right. The product shown is a wrist watch for kids. in this case, a sparkling silver one all glittery and stuff. It has green numbers that are easy to see and the German Shamrock tilts a bit to the right. Just for a bit of whimsical fun. Bet you can laugh a lot about that now. But, WOW, was it serious business when you were 5! A lot has changed since then, with most clocks and watches being digital in nature. But, now, your kids can do the same until they learn to actually tell time without a digital device. And, folks, THEY AREN’T TERRIBLE. Really, they aren’t. 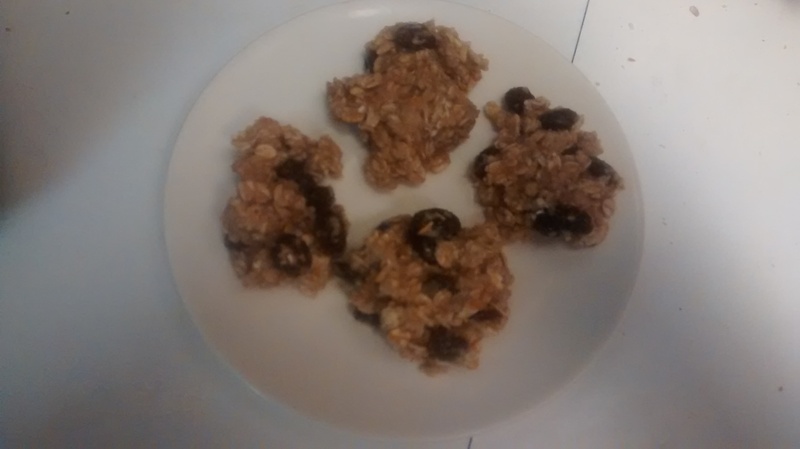 This is an oatmeal raisin diabetic cookie recipe that actually tastes good. Your Auntie Shoe is a diabetic. So, she has to watch her sugar intake. Also, diabetics need to be careful of fat and salt so we don’t end up in the emergency room with heart failure. In essence, we are like everybody else, just needing to be a bit more careful. Your Auntie Shoe misses cookies. And cakes. And pies. And, well, anything that tastes good. That said, Auntie read some stuff here and there including an interview with a Greek cook who uses Greek yogurt in place of butter in baked goods. Measures it like for like, she does. So, Auntie thought this was good information for her own oatmeal raisin diabetic cookie recipe. And, most importantly, your Auntie thought, “That I can remember”. Auntie Shoe likes stuff that is measured the same when substituted. So, armed with this new information, Auntie Shoe went looking on the Internet for an oatmeal cookie recipe to alter. She wanted to get more carbs out of the recipe. This is hard because oatmeal and raisins have, naturally, a higher carb content than many other types of cookies. Finally, your Auntie decided to use the recipe on the back of her aged oatmeal box, with some major alterations. First, substitute the wheat flour for almond flour/meal. Auntie used Bob’s Red Mill. But next time she is going to use Trader Joe’s when she makes an oatmeal raisin diabetic cookie recipe. Next, add some xanthan gum. 1/4 teaspoon for every cup of flour. That’s what it says on the package. Got that from Bob, too. You have to add this because flour has gluten and almond meal does not. Cookies look icky otherwise. Taste fine, just crumble to nothing and look stupid. So far, so good for Auntie Shoe’s oatmeal raisin diabetic cookie recipe. Oh, yeah, remember the part about Auntie Shoe being a diabetic? Well, that means you substitute Monk Fruit for the sugar. Auntie used a brand name Monk Fruit in the Raw because it measures the same and Auntie didn’t have to do any fancy math, er, math at all, in her oatmeal raisin diabetic cookie recipe. One thing is no one makes a substitute for brown sugar. Sooo, Auntie just used the monk fruit stuff. Tastes fine. Some think too sweet. Others not sweet enough. So, you decide. The Monk fruit sweetener is very, very, very light. When you mix it, it flies all over the place. Soooo, place the monk fruit in a large bowl. In a smaller bowl, add the egg whites and vanilla. Stir a little bit. Add about half of the egg mixture to the monk fruit. Stir SLOWLY. SERIOUSLY, VERY, VERY, VERY SLOOOOOOOWLY. See that big mess you have to clean up all over the counter because the monk fruit flew all over the place? Yeah, you didn’t do as your Auntie Shoe said, did you? Add the rest and stir till blended. STILL, STIR SLOWLY. Next, add the yogurt. Stir until fully blended. You can stir as fast as you like. Once the monk fruit is wet, it doesn’t fly all over your kitchen. And, you nevermind how Auntie Shoe got this information. In another bowl, add the almond meal, xanthan gum, baking soda and cinnamon. Mix it. Gradually add the almond meal mixture to the yogurt mixture. Next add the oats, one cup at a time. Lastly, mix in the raisins. Now the oatmeal raisin diabetic cookie recipe is ready to be baked. Drop them in rounded teaspoon fulls on a cookie sheet. Auntie used baking parchment paper on the sheet, not anything greasy or sprayed. Nothing stuck. Worked great. You can use your own judgement. THERE IS NO BUTTER IN THESE, SO THEY WILL STICK UNLESS YOU DO SOMETHING. When the first batch baked, Auntie Shoe discovered that they do not spread like normal oatmeal cookies. DUH! No butter…Sooooo, in subsequent batches, Auntie used a spoon or her fingers to spread the cookie dough out a bit. ‘Cause, honey, those suckers do NOT budge unless you help them. Just be helpful to your lovely little cookies and all will be well. They pretty much look like any normal oatmeal raisin cookie. Auntie Shoe read that cookies made with almond meal need a lower temperature for baking, as well as a lower time. This includes her oatmeal raisin diabetic cookie recipe. Soooooo…. Oven at 335 degrees. Seriously, 335. Baking time about 10 to 12 minutes. Cookies came out chewy and nice. Cool on wire rack for about 10 minutes before eating. Even the person in the household that NEVER likes ANYTHING that is healthy, actually likes this oatmeal raisin diabetic cookie recipe. Keep them in the refrigerator. They have yogurt in them, not butter. Yogurt spoils faster. Carb count? About 6 per cookie. That’s what it averaged when Auntie divided the number of cookies created into the total carbs for the entire oatmeal raisin diabetic cookie recipe. Calories? About 37 per cookie. Again, added up all the calories for all the ingredients and divided by the number of cookies baked. Now for all the disclosure stuff…Auntie Shoe makes her living from selling items with designs she creates at various print-on-demand sites all over the Internet. She does NOT receive any compensation from any of the people whose ingredients she purchased to make the oatmeal raisin diabetic cookie recipe. Not a dime. Honest. These tradespeople have no idea Auntie even exists. She just went to various markets and stores in her vicinity and bought stuff like a normal person. If you feel you must compensate Auntie Shoe for her lovely recipe, visit any of her shops. Just look at the menu above for “Auntie Shoe’s POD Shops”. Or click here for her shops at Zazzle. Zazzle has introduced fabric to its large array of product choices. That means, you can purchase fabric to match your favorite items, if the designer has chosen to add it to the design you love. COOL BEANS. Cool petunias, too. That said, what choices to you have? The above are Auntie Shoe’s creations. She is working hard to get all her shamrocks up on fabric as fast as she can. Please have patience. If your favorite country isn’t up yet, please use the ASK THE DESIGNER link, or add a comment to this blog post. That said, what does this mean to the print-on-demand world? Well, your virtual Auntie (that would be Shoe, er, me), thinks it is a wonderful addition to Zazzle’s products. There is another POD that does fabric. That’s Spoonflower. What makes Zazzle so great for designers is Spoonflower makes the designer purchase a swatch for approval before the design is allowed to sold. That is not unreasonable, considering the amount of money lost if the design doesn’t print well and is returned. But, for designers running a business on a very frayed shoestring, those few dollars keep them from adding to their shop. At Zazzle, we can add whatever we like at no cost to us. At Spoonflower, every design added means an outgo of cash. It is not expensive, unless you have 1000 designs. Then it is astronomically expensive and out of the question. This is why consumers, that would most probably be you, the reader, will most likely find a larger choice of fabric designs at Zazzle.com/fabric. Another advantage at Zazzle is the ability to customize your own fabric. For example, say you just LOVE the Australian shamrocks shown above. But you want to add a name to the fabric to make it personal and very special. At Zazzle, you can do it yourself, no worries. Just click the CUSTOMIZE IT button and do your thing, hunny. But if all that techy stuff scares you, just use the ASK THE DESIGNER links and tell your designer what you want. See, you have to tell us because most of us are very unpsychic. We just can’t read minds. So, you gotta speak up! AND….drumroll….For a limited time, and to introduce fabric, Zazzle is having a 15% off sale. Just add the PROMO Code INTRO2FABRIC , at checkout time. So, save a bit of money and get some custom-made fabric at the same time. How cool are those beans? The petunias are pretty cool, too. Author Auntie ShoePosted on February 11, 2015 Categories Flags, HolidaysLeave a comment on Fabric! FAAAAABBBBBRRRRIIIIIIIC! This is another test of the Auntie Shoe broadcasting system. We are attempting to ascertain whether or not one can actually create a proper blog post from one’s phone. Well, using it to post, anyway. It is interesting to try this. Typing on a little teeeeeeeeeensy keyboard is quite the challenge. If it weren’t for autocorrect, I sure I would appear quite the fool. Although, the absence of autocorrect has never protected Auntie from the appearance of foolishness.